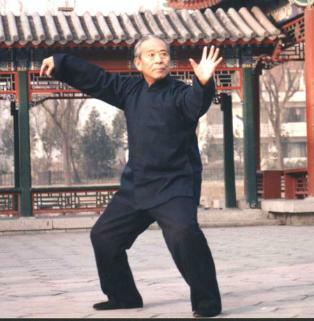 internal components (i.e., Shen – spirit or heart, Yi - mind, Qi – vital energy, and Jin – internal trained force). one can go on to focus on the internal integrations. very important because only when you can do this well can your internal trained force (Jin) be generated and become stronger. more relaxed, and can connect your whole body so that force can be moved from one point to another quickly and smoothly. left shoulder. This is just one example of the importance of moving your body as an integrated whole. a base to build upon with internal integration training. your left arm is yang. 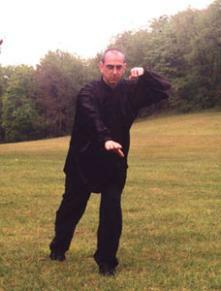 Reciprocally, if your right leg is your yang leg, your right arm is yin. to yin your are done shifting your weight. 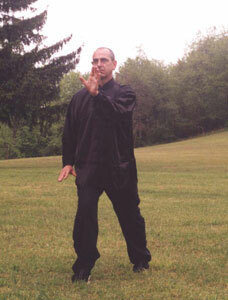 Thus, your yang leg and arm become completely yin after a weight shift is complete. it is empty and free to move. left arm is yang. You might want to practice this idea using your style’s brush knee movement. Start in a left side back stance. left leg and right arm as left leg is now yang because it is empty and free to move. hand and your left foot together. This example illustrates some of the “rules” of external integration. 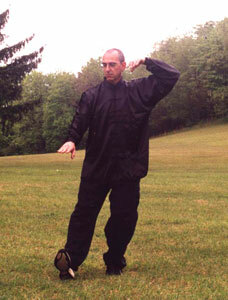 integrating the movement of left arm with the movement of your right leg. Jian Jin point or shoulder star and yang Huan Tiao point or hip star. hip, or shoulder and hip, elbow and knee, hand and foot; never hand and foot, shoulder and hip, elbow and knee. · * Change your mind to the new yang leg and arm after a completed weight shift. from hand and foot to shoulder and hip nor from shoulder and hip to hand and foot. on how you feel. In the beginning to make a simple routine, you can change your mind through one cycle for each weight shift. experiences of Qi and trained internal force. 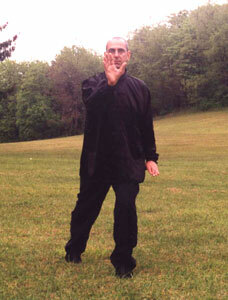 integration throughout the most common Taiji movement—“Brush Knee and Twist Step”. the yang arm. In this example we start with our mind on the left hand and right foot. Look past your right index finger throughout this movement. separating your left hand from your right foot. mind on bringing your left shoulder together with right hip. Gradually move your look about 30° to the right. front of your right knee. left hand and right foot. bringing your left shoulder and right hip together. focus on bringing your left elbow and right knee together. * As you finish brushing your right palm to the right, focus your mind on bringing your left hand and right foot together. This is an interesting example of an external integration because the yang leg and arm are only indirectly involved in moving. This will lead you to step forward with your right foot. 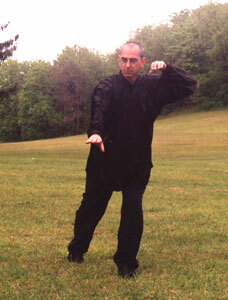 * As you begin to step forward with your right foot, focus your mind on bringing your right foot and left hand together. · * As you continue to step forward with your right foot, focus your mind on bringing your right knee and left elbow together. · * As you finish stepping forward with your right foot, focus your mind on bringing your right hip and left shoulder together. · * turn your body to the left until your chest and hips are straight forward. · * shift your weight onto the right foot. * sink your weight onto your right leg. 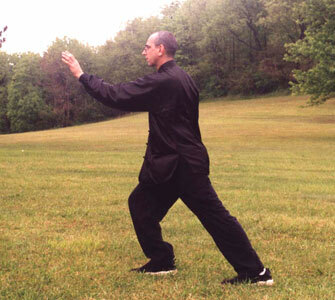 · * As you continue to shift your weight and push, focus your mind on bringing your left elbow towards your right knee. on bringing your left hand and right foot together. 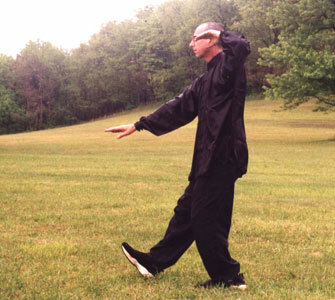 purpose of Taiji Quan practice. Just use your mind to gently direct the movement of your yang arm and leg relative to each other.